Oi! 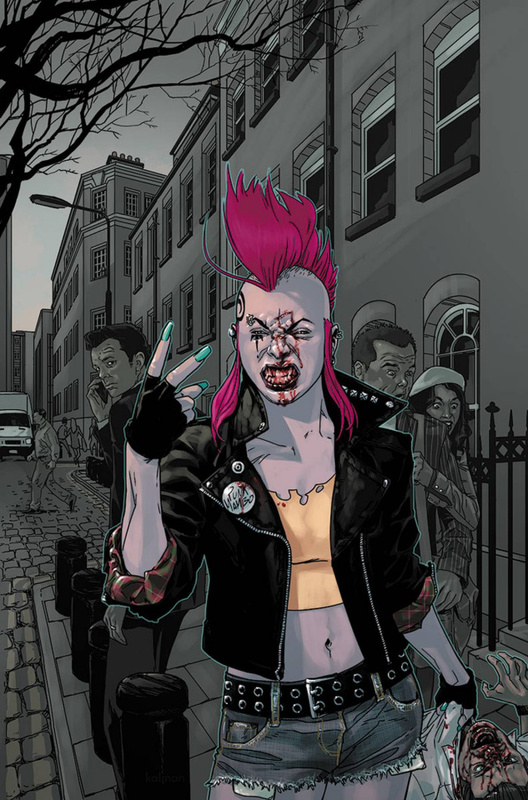 Comics icon Peter Milligan (Hellblazer) and upstart artist Robert Gill (Armor Hunters: Harbinger) are about to introduce a different kind of magic into the back alleys of the Valiant Universe... From a posh girls' boarding school, to the slimy gutter of the London punk scene, to sniffi ng voodoo glue in a Louisiana swamp...how did the Punk Mambo haul herself from the upper crust to the backwater? Now, Punk Mambo is about to head back home to spread some much-needed anarchy in the UK! The punks and the voodoo priests she used to know have cleaned themselves up, and she's a loud, belching ghost from their past, come to break in the new furniture...and break some faces!